POPEYE the Sailor was famous for the super strength he received from a hearty helping of spinach. We may not be able to toss trains over our shoulders or leap tall buildings but wouldn't it be cool if we could add some super powers to our food? It turns out that some clever tricks can boost the nutrition in healthy, everyday food. Plant scientist James Wong has spent two years researching all the ways we can maximise the health benefits of the food we eat and how kitchen science can turn simple food into super food. Putting your punnet of mushrooms on a sunny windowsill for one to two hours will give them 100 times more vitamin D2. There are more than 80 recipes included, such as winter squash and coconut laksa, blueberry and chilli cheese toastie, and mango and saffron pudding. James has made How to Eat Better very user-friendly and even though it is steeped in science, he has gone out of his way to avoid "geek speak” as he calls it. This is a straightforward yet exciting book for anyone looking to make some changes to their diet without having to step into the minefield of fancy food fads. The breakfast of kings, these pancakes made with protein-packed chickpea flour have an incredible moreish texture and will keep you fuller for longer. A match made in cherry-chickpea heaven. Put all the ingredients in a food processor and blitz until you have a smooth batter. Grease a large frying pan with butter and heat until hot, then pour spoonfuls of the chunky batter into the pan to make small pancakes the size of a CD. Cook for about 1 minute on each side until golden and cooked through. Remove from the pan and keep warm in a low oven until all the pancakes are made. 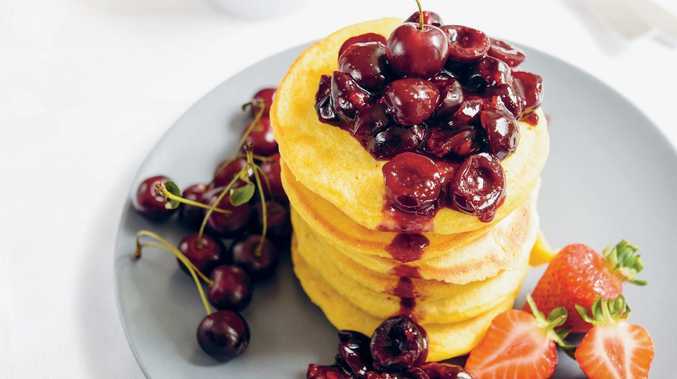 Slather the compote over a towering stack of pancakes and serve with fresh fruit. Place all the ingredients in a microwaveable bowl and stir to combine. Cook in a microwave on high for 3 minutes, stirring halfway through the cooking time. Leave to cool slightly before serving. Store the compote in the fridge for up to 1 week. 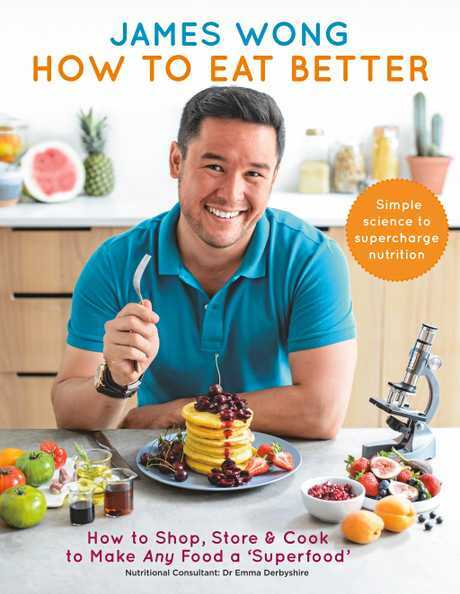 How to Eat Better by James Wong ($35), published by Hachette Australia.